Wade was born and raised in Beaufort, SC. He is married with three children, two boys and one girl. He enjoys spending time with his family and on the water fishing. Wade also owns and operates Martin Sweep, a sister company of Martin Landscape, Inc. He has been the owner and operator of Martin Landscape, Inc. since it’s opening in 2004. Paul is from Johnson City, TN. He received a Bachelor of Science in Plant Sciences: Landscape Design and Construction from the University of Tennessee – Knoxville. 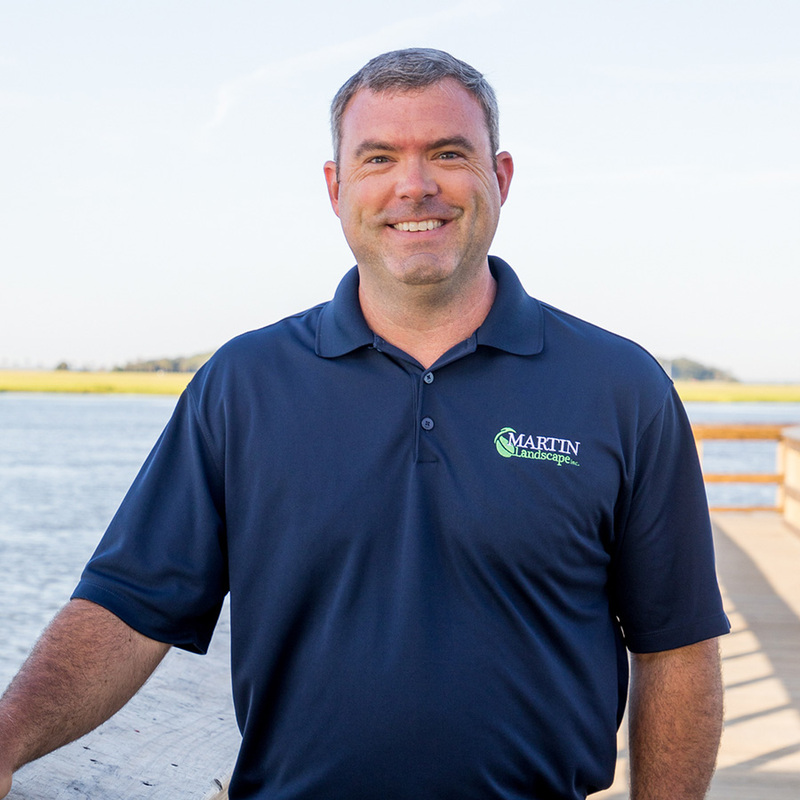 Before coming to Martin Landscape, Paul worked his way up through the ranks at several nationally and regionally recognized companies from Savannah, Ga to Daufuskie Island, to Bluffton, SC, before finding a home with us as our Vice President. Paul’s three girls keep him busy with tennis, golf, gymnastics, bike riding, and camping in the backyard. In his free time, he enjoys running, biking, mountain hiking/camping, and anything to do with the May River. Phil is originally from the Chicago area in Northern Illinois and moved to Florida in high school. 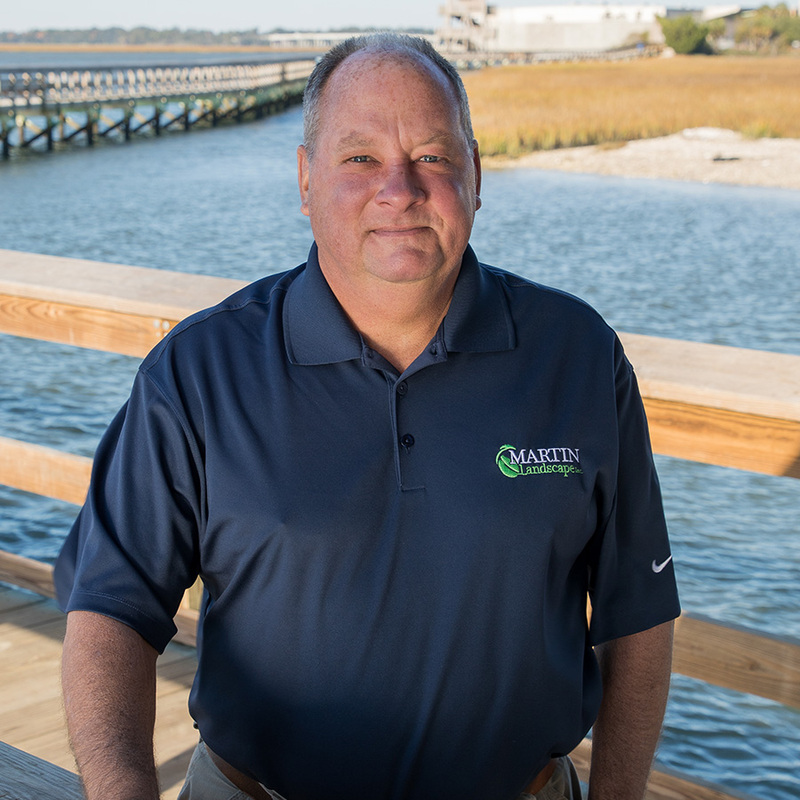 In 2018, Phil and his wife Gwen moved to Beaufort after spending 20 years as Controller and Director of Finance for Spirax Sarco, Inc. in Blythewood, SC. He has a Bachelor of Science in Business with a major in accounting from the University of South Florida and a Master of Business Administration from the University of South Carolina. Phil’s hobbies include gardening, wood-working and fishing. Lindsey was born and raised in Sanford, NC. She relocated to Beaufort in August 2013. She enjoys traveling, being outdoors, and spending time with family and friends. 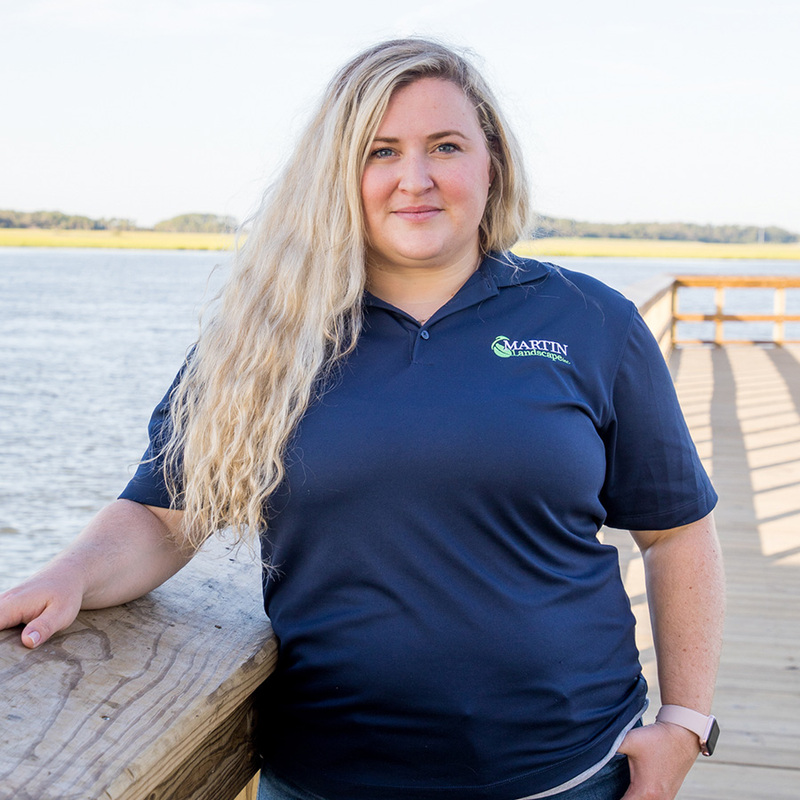 Lindsey has an Associate’s degree in General Education and is currently working on earning her certificate for Landscape Industry Manager license. 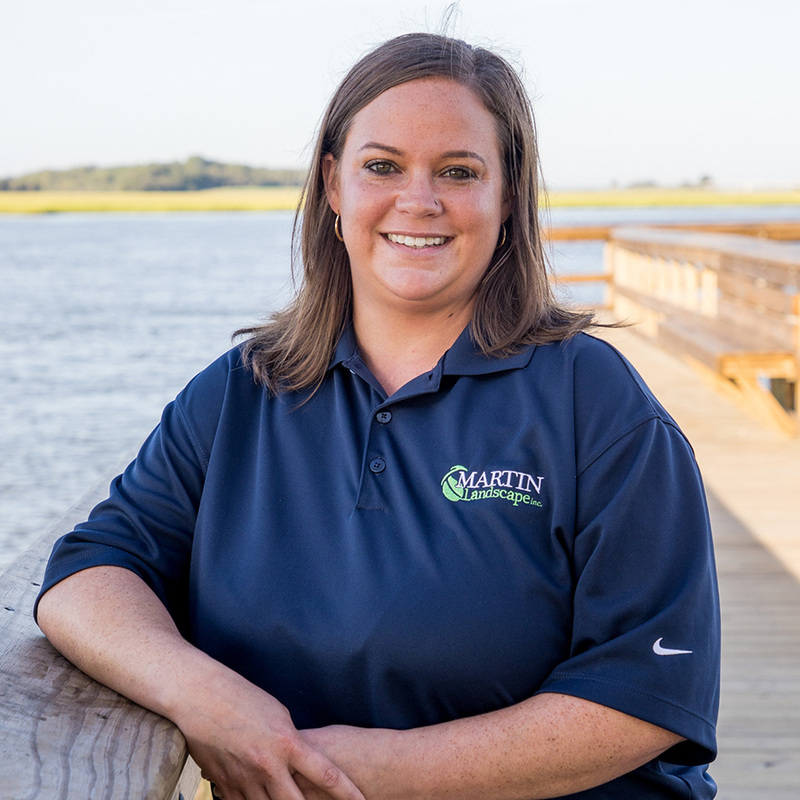 After ten years working as a teacher assistant in the public school system, Lindsey decided she needed a change and found a home as Office Manager at Martin Landscape, Inc. in May of 2016. 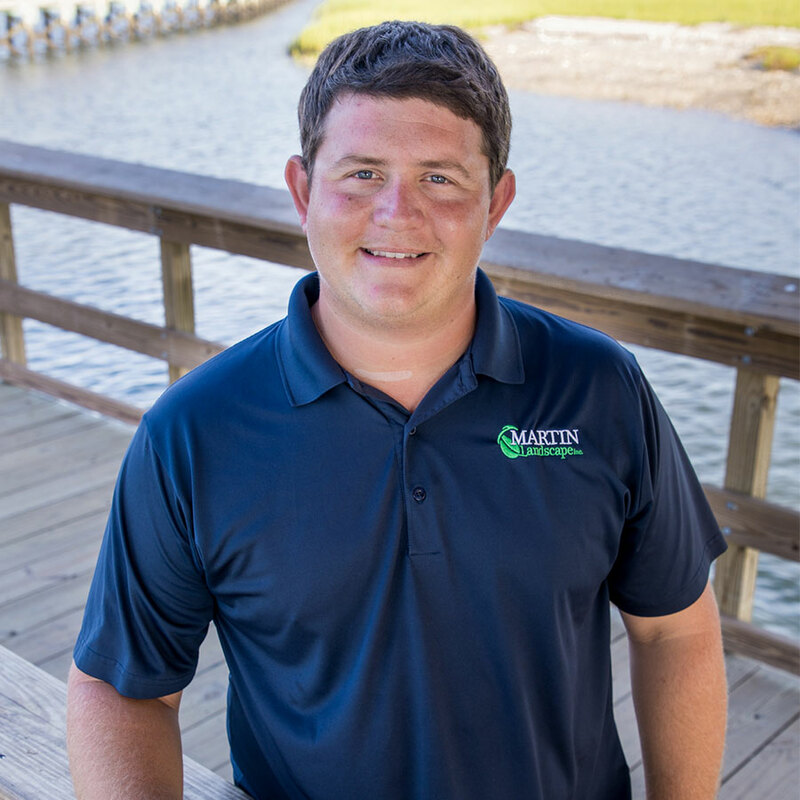 Justin Martin’s passion for landscape started in high school in Atlanta, Ga. From there, he then continued landscaping over the summers while attending Valdosta State University. He graduated in 2004 with a Bachelor of Science. 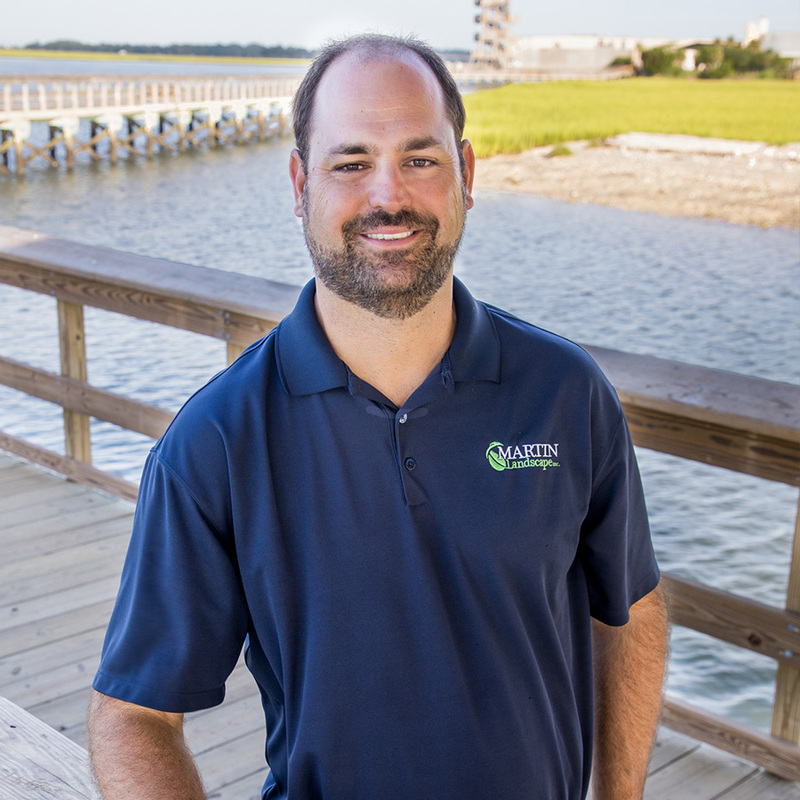 Justin then decided to set roots in Beaufort, SC and started working with Martin Landscape in 2005. Justin has experience in all services offered at Martin Landscape. Over the years of service, he has earned his chemical license and is involved in continuing education to stay current. Justin is currently working on earning his landscape certification from the National Association of Landscape Professionals. Jack was born and raised in Beaufort, SC. He started off as a spray technician at Dataw Island and was rehired as an Assistant Superintendent after getting a two-year certificate in Turf from Rutgers University. Jack joined Martin Landscape, Inc. in April of 2015 as a Spray Technician and became an Account Manager in July of 2016. During his free time, Jack enjoys hunting, fishing and being outdoors. James is from Richmond Hill, Ga. He has an Associates of Science in Golf and Grounds Management with a major in Environmental Horticulture and is also a member of Phi Theta Kappa. 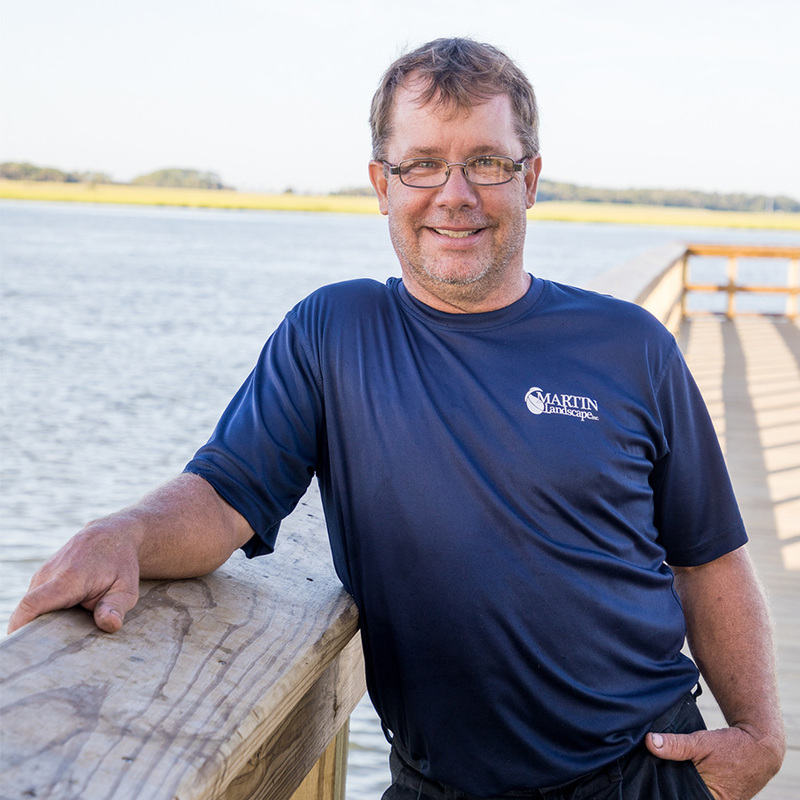 James worked for the Landings Club for 21 years, followed by private landscape companies. 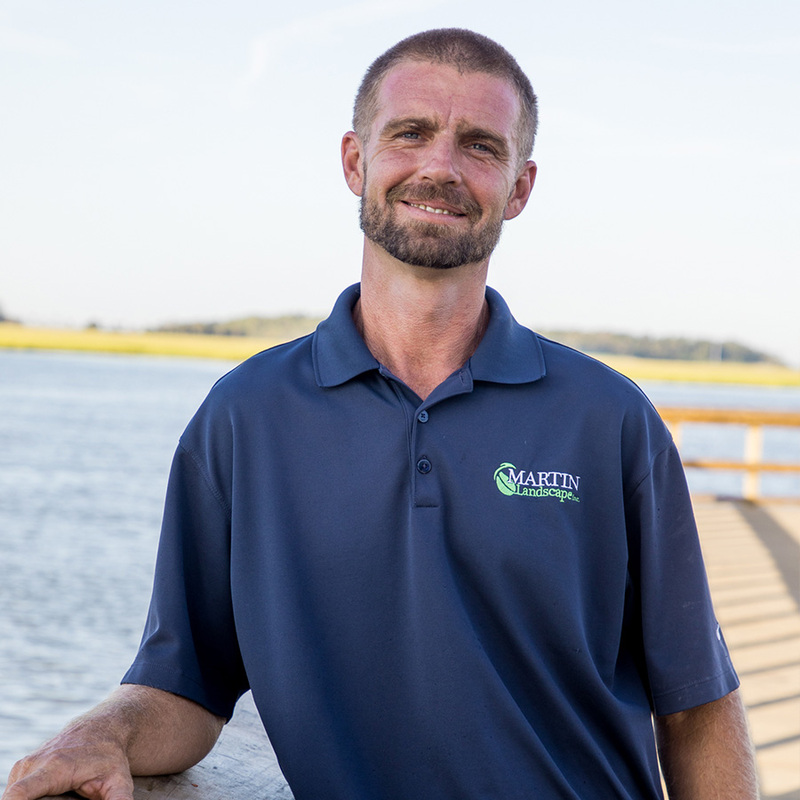 He began working in Beaufort in 2007 and became an Account Manager for Martin Landscape in 2017. In James’ free time, he is highly active in the Georgia “CHIP” program and is also an active member of the Road Runners. Dustin was born in Savannah, GA and raised here in the Lowcountry. He is married with two children. 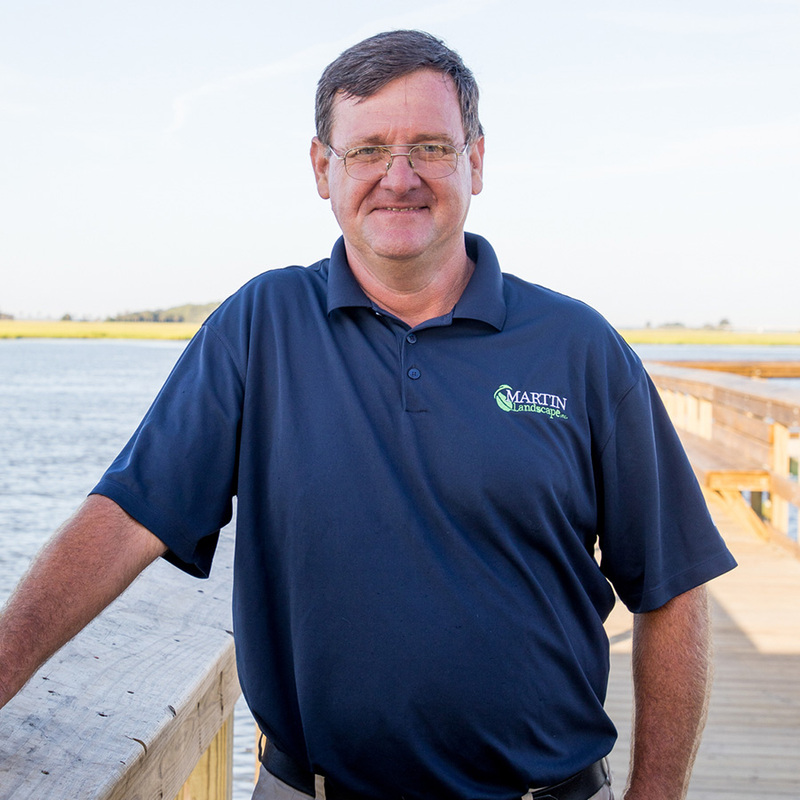 After moving away for several years, Dustin and his family recently returned to Beaufort. Two of his fifteen years of landscape and irrigation experience have been spent with Martin Landscape, Inc. In his free time, Dustin likes doing water sports activities with his family. Tony is born and raised in Beaufort. He has four sons with his oldest in the Army. He likes to play and watch sports, as well as, travel when he has time. After getting his Associates Degree in Criminal Justice from TCL, he began working in landscape. 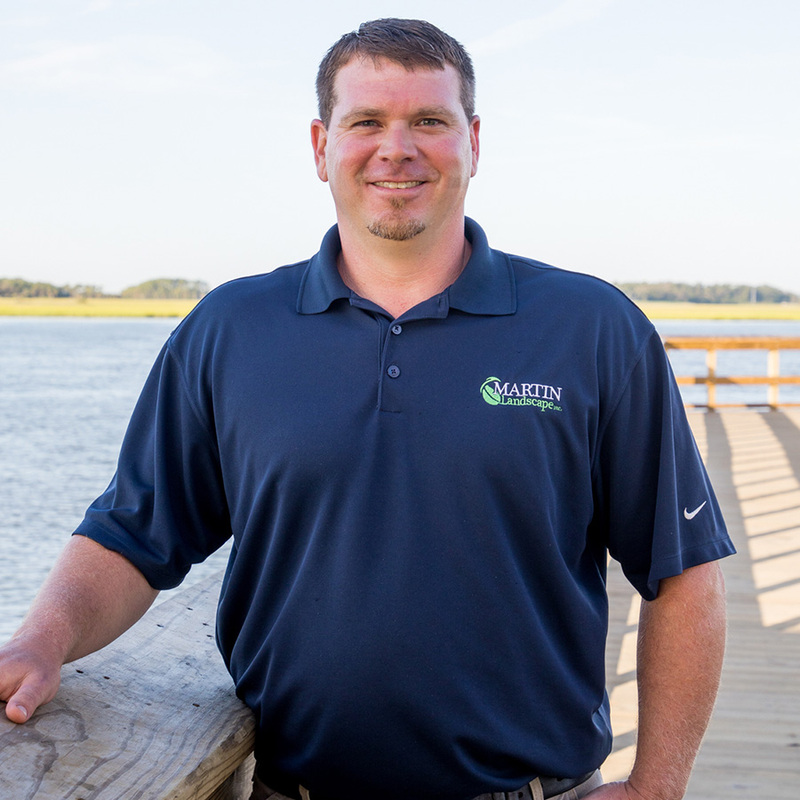 He joined the Martin Landscape family in early 2015 as a team member, later being promoted to team leader and then as our first Field Operations Manager for North of the Broad River in 2018. Andre is born and raised in Beaufort. He is married with one boy and two girls. Andre has been landscaping for 16 years after receiving and started out with Martin Landscape as a team leader in 2014. Within a few months he was promoted to a commercial property team leader at our largest commercial property. He has recently been promoted to Field Operations Manager for South of the Broad River at the end of 2018. He enjoys spending time with his beautiful family and fishing. Debbie was born and raised in St. Helena Island, SC. She worked at Rite Aid for 15 years after graduating from Beaufort High School. Debbie enjoys spending her free time with her husband and two children, boating and going to the Sandbar. Kenny is born and raised in Beaufort. He is an ASE Certified Master Technician and Certified Schwarze Regenerative Air Sweeper Technician. Kenny has been in automotive repair for 37 years and joined Martin Landscape as our fleet mechanic in 2017. He enjoys hunting, fishing, and playing with his dog, Dixie, in his spare time.